Do you think of “Snow White and the Seven Dwarfs” or maybe Shakespeare’s Stratford-upon-Avon when somewhere refers to cottage homes? Yes, a cottage is a small and cozy dwelling. Such a home also features an informal floor plan and often evokes the charm of a fairy tale or countryside living. However, today’s cottages offer much more. Designers and architects are now creating cottage homes that offer the feel of plenty of space as well as the features you would expect in the most modern styles of homes. Whether you are looking to downsize or add a guest house to your property, once you take the time to get to know today’s cottage style of home and how it may work for your needs, you'll fall in love with it. What Is the Cottage Style and Why Is It So Popular Lately? Sometimes thought of as a second home or vacation retreat, the cottage style home is often quaint and yet charming. The rooms are cozy and comfortable. It's also a very practical home that's very functional. It does not boast a lot of room, but it does have character. The primary features of a cottage style home include shingled, stucco walls, balconies, small porches, gable roofs, and bay windows. Generally, a cottage house is a one story or 1 ½ story structure. 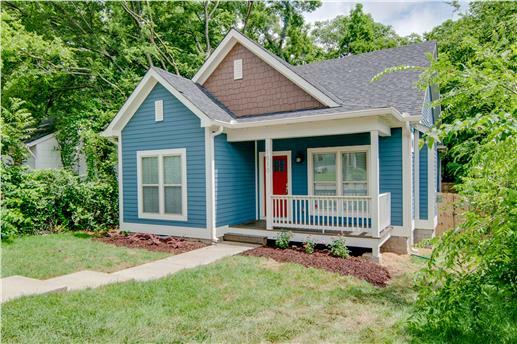 With just over 1,270 square feet, this charming one story, bungalow style cottage home with front porch includes three bedrooms. To make it seem larger than it actually is, the floor plan includes a vaulted celing in the living area as well as an open concept kitchen and dining area (Plan #178-1146). This architectural style is ideal for many reasons and for a variety of people. First, for those who are downsizing, the cottage style is often the perfect solution. It offers a lot of character and charm, but with a smaller and more efficient footprint. Cottage designs today often have open floor plans and wider doorways and halls – making them more wheelchair accessible. Since cottages are relatively inexpensive alternative to larger-scale construction, many people are building them on their properties as “guest homes” so that they can live close to their parents and in-laws. All new designed cottages take you back to the old era, but have a touch of modernity which makes them comfortable and more efficient. And since the interior is often well utilized, the cottage does not appear cramped, which makes it all the more preferable. 1. Rustic – But Not Too Rustic – and Traditional Feel. Compared to a cabin, a cottage is more sophisticated and extremely detailed. A lot of attention is given to the window shapes, the arch of the doors and the trim. This styling may be in a variety of forms from “bungalow” to “Victorian” to “Tudor” architecture. The variations of styling available helps make for a great number of house plan designs that work with an existing home or within an existing neighborhood. 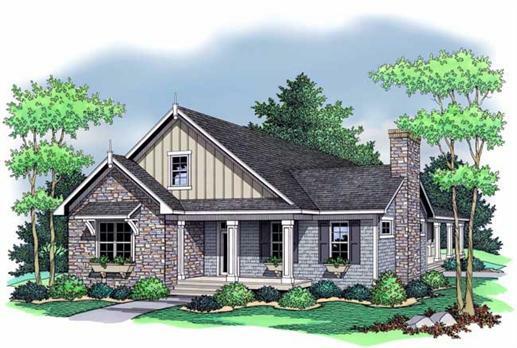 The wrap-around porch and attractive mix of stone and siding on the exterior make for a striking cottage home. The great room / living room has a generous bay window to bring the outdoors “inside” – making its 1,922 square feet seem much more spacious and comfortable. (Plan #183-1003). 2. Asymmetrical Design. Generally, most cottages feature a design that is asymmetrical with often a chimney being rather prominent in the exterior and interior of the home. 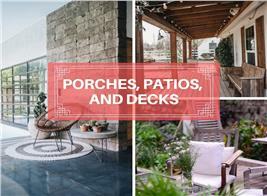 A porch or terrace is also typically part of the design. These elements add to the cozy and charming feel. At only 1,092 square feet, this country cottage design offers far more than its square footage would suggest. Cathedral ceiling in the living room creates an open feeling as soon as you walk through the front door. The focal point is a large fireplace at the rear of the living room. 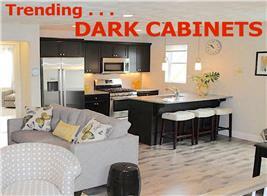 A two bedroom, two bath home – the master bedroom has a tray ceiling. (Plan #136-1028). 3. Smaller Footprint. Cottages are generally homes with under 2,000 square feet – and often much less than that. They have from one to three bedrooms. 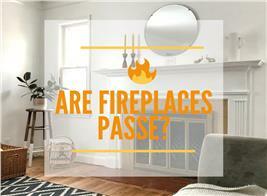 The living room or hearth room is typically the center of the home with a fireplace as the main feature. The dining area is often a part of this central living space rather than a distinct, separate room. Wooden floors are typical and add to the cottage charm. This cozy cottage has two bedrooms and two bathrooms within its 1,580 livin square feet. (Plan #120-1629). Although the cottage style has been around for hundreds of years, including in Scandinavia, Russia, and China, it has long been present in the United States as well. These homes were first purchased as homes of necessity. They were both practical are affordable. Easy to build, the asymmetrical design was also easy to add onto when and if the need arose. When you take a look at the history of these homes, you'll notice that many of them have a basic frame with added rooms and attic space. This is due to their ability to grow and expand, as well as their practical design. In the United States, various styles of cottage homes evolved as Americans taste in architecture evolved. The Craftsman style, rooted in the Arts & Crafts movement from Europe, led to an American cottage style with very strong exterior features including front and side gables. Later, bungalows became a popular option in the mid-1900s and are closely associated with the cottage style. We couldn’t help taking a look back at famous “real life” cottages without a visit to England. 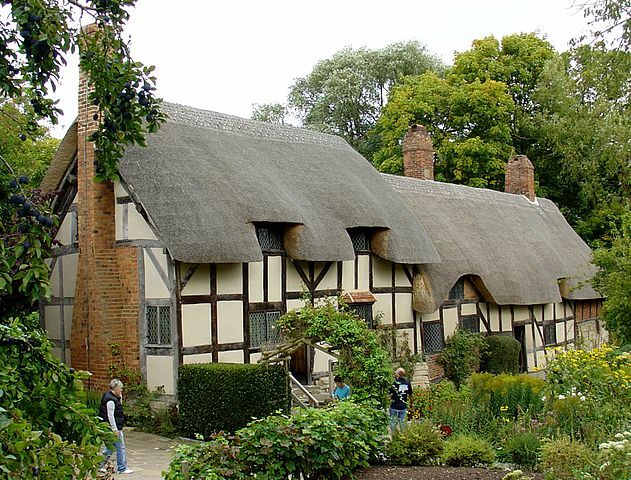 William Shakespeare’s future bride Anne Hathaway called this Tudor style cottage home. The Anne Hathaway cottage and gardens are open to the public. While considered a “cottage,” today’s definition of a cottage is considerably smaller. Another famous cottage we are reminded of is located in Cahir, Ireland: known locally as the “Swiss Cottage,” it is among the best examples of an ornamental cottage. The structure was constructed in 1810 and was owned by the estate of Lord and Lady Cahir. 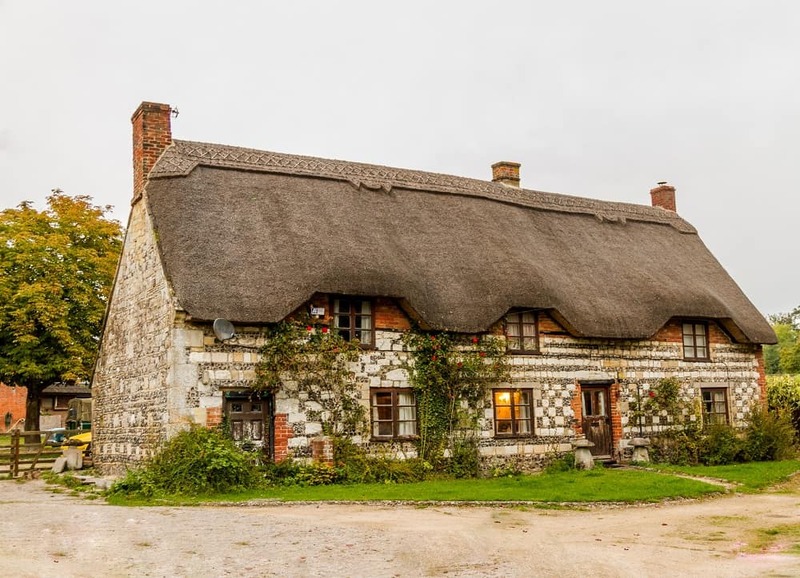 A thatched-roof cottage in Devizes, United Kingdom is a classic example of a cottage with its thatched roof and gingerbread-like elements. Finding the perfect cottage style home begins with paying attention to the details. While cottage homes offer a basic design, they also often deliver that with beautiful exterior architecture from a wide variety of styles. 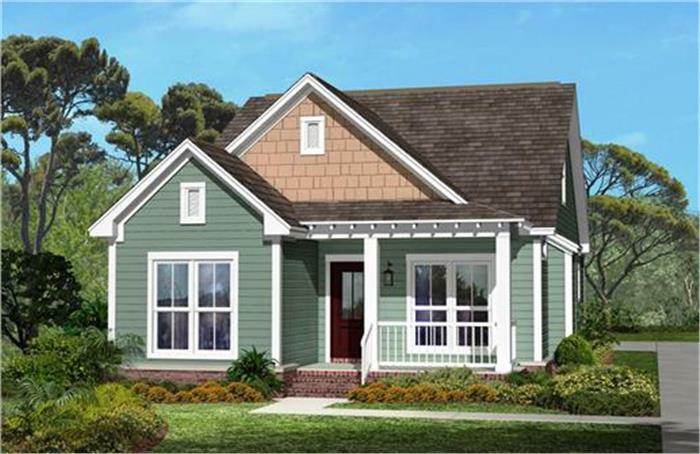 This very traditional-looking cottage home with 1,396 square feet has a very contemporary interior floor plan. 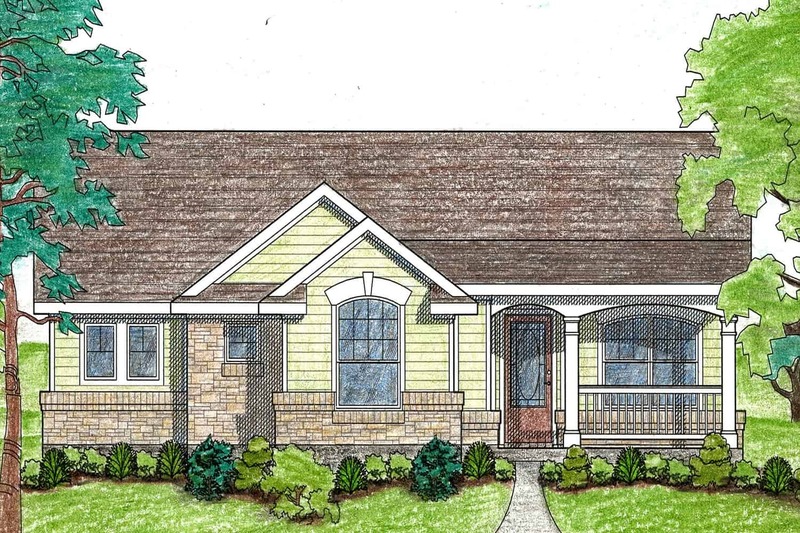 With three bedrooms and two bathrooms, it maximizes the use of the space (Plan #142-1055). Today’s cottages also offer plenty of modern features. You will find that current cottage designs make great use of their limited space. Optimized with an open floor plan design, these homes are both spacious-feeling while still remaining cozy and comfortable. They are also not overly dominating in any area so work well on most properties and neighborhoods. While, cottages tend to provide for basic features using a compact floor plan, these homes are also highly functional. This country cottage with 1,838 square feet has a gracious interior floor plan with an open concept kitchen and a wrap-around covered rear porch. The master bedroom suite includes a walk-in closet while a bonus room is available on the second floor for storage. (Plan #165-1101). 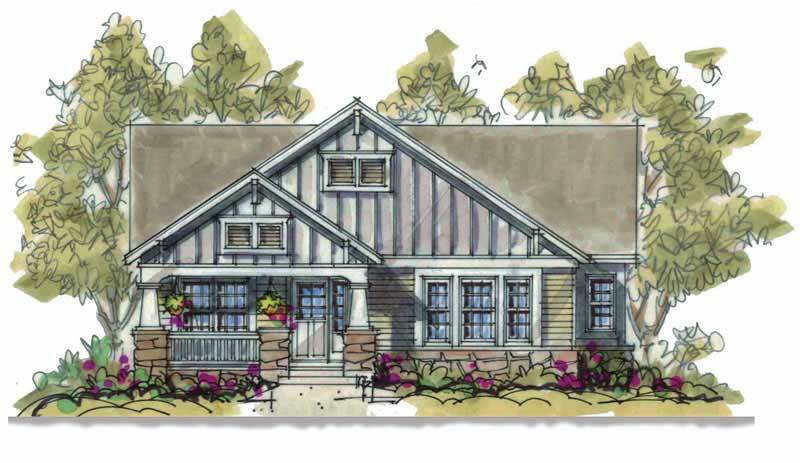 There are far more options in cottage style homes available to view online at sites like The Plan Collection. 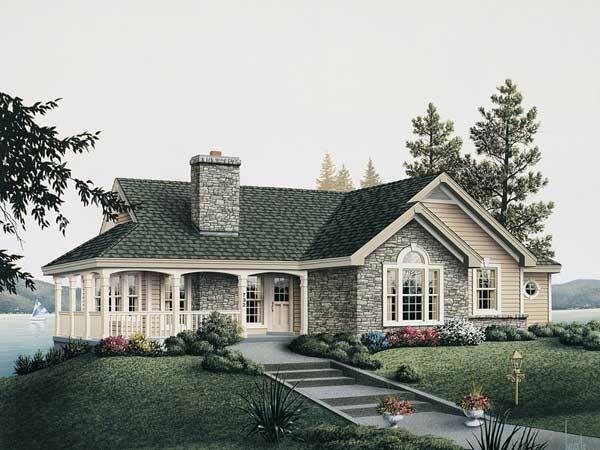 Let your imagination find the cottage house plan ideal for you! Footnote: The lead image in this article is that of a one-story, Craftsman-style cottage with a lovely front porch, Plan #142-1041. To view more, click here.